Art and science both require imaginative thinking yet are often considered as institutions in polarity. "The Astrologer Who Fell Into A Well” orbits these creative methodologies and questions where there is difference and/or convergence. Can a gallery become a capsule of exploration through an aesthetic dimension where science-fiction meets art-fact? Opening September 2018 at CAS "The Astrologer Who Fell Into A Well” will introduce Melanie King’s photographic series “Ancient Light”, large nightscape images of distant stars. “Black Rain” and “Brilliant Noise”are two NASA collaborative film works by Semiconductor, where the Cosmos is visualised as raw data. “Drowning The Moon”, will be heard, it is a sound installation by Eric Lesdema, where a lone voice speaks of science and cultural formation. Both Melanie King and Eric Lesdema are scheduled to be at CAS on the afternoon of the 8th September for a public discussion on art and science as convergent industries of creativity. A special screened installation at The Manpukuji Temple on Sunday the 9th of September 2018. Starting with Melanie King’s sequence of short films followed by “Dream Time” from Jane and Louise Wilson, an account of the 2001International Space Rocket at Baikonur Cosmodrome at Kazakstan. Also included in event will be Semiconductor’s “Black Rain” and “Brilliant Noise” both of these films were made with NASA. We are excited to be introducing the premier from the USA via Periscope of "The Astronaut” by Sheena Rose, an intriguing portrait of a personalised sense of difference. 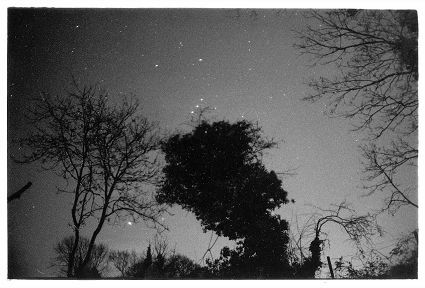 An artist whose principal subject is photography and the connection between culture with the materials and phenomena existing beyond the Earthユs atmosphere; her PhD research focus at The RCA in London is "Astronomy Ecology". As Director of Lumen Studios and Super Collider, she hosts exhibitions and residencies, as well as presenting artworks at international conferences. Two photographs from the series "Ancient Light" can be seen at CAS. Melanie King will participate in a public discussion for "The Astrologer Who Fell Into A Well". An artist whose works encompass, performance, installation and photography whose current inquiry into "Isotechnography" is the subject of his PhD research with Roy Ascot's "Planetary Collegium". Awarded the UN Nikon World Prize For Photography in 1997 he continues to collaborate on projects with galleries and museums. An audio sculpture of the book "Drowning The Moon" is at CAS. Eric Lesdema will participate in a public discussion for "The Astrologer Who Fell Into A Well". An artist who explores experience and how it's transformed within modes of communication. A Fulbright Scholar whose current media ascent can be measured with featured articles in The New York Times and a Vogue. She will perform "The Astronaut" via Periscope from the USA at The Manpukuji Temple for "The Astrologer Who Fell Into A Well". Semiconductor is artistic duo, Ruth Jarman and Joe Gerhardt. They make artworks which explore the material nature of our world and how we experience it through the lens of science and technology. After their celebrated show at Art Basel, they are currently showing at The 2018 Sydney Biennial. A screening of films "Black Rain" and "Brilliant Noise" will be at The Manpukuji Temple and daily in the gallery of CAS for "The Astrologer Who Fell Into A Well". Two artists whose practice includes the investigation of spacial dynamics and the politics of architecture and the implications of technologies on the human condition. They were nominated for the Turner Prize in 1999 and have exhibited throughout the world during a 25-year career. There will be a screening of the artwork "Dream Time" at The Manpukuji Temple for "The Astrologer Who Fell Into A Well". A photographer and painter who questions the space we understand as the body and itユs negotiation of exteriority. She is Director of Waugh Office Productions an art agency that specialises in curating and developing events and exhibitions for galleries and museums worldwide.